Cold-pack canning is a process of preparing and canning fresh foods that are not fully cooked before processing. This entails longer processing time for the foods in the canner and a scrupulous attention to recipes and ingredients. 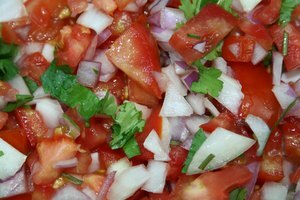 The secret to successful cold-pack salsa canning is a combination of fresh vegetables, high-acid content and adequate processing time in a rolling but not rapid boil. Wash jars, lids, rings, spoons and any equipment that will touch the food. Use very hot, soapy water. Rinse well in hot water. Keep lids in hot water. Keep jars in simmering water. This will keep them sterile until ready to fill. Heat water to boiling in a large soup pot filled half-way. 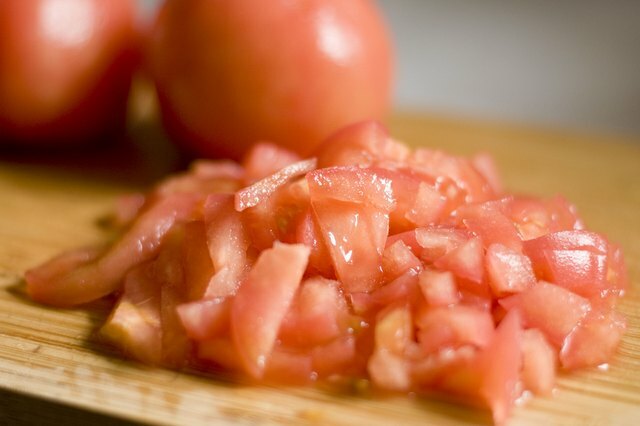 Dump 14 pounds of tomatoes in batches into the pot. Remove immediately with ladle. 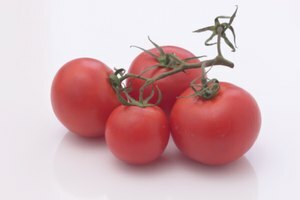 Plunge tomatoes into a pot filled with cold water. This will allow you to slip off their skins easily. Peel and chop tomatoes. Retain juices and seeds. Dump into large soup pot. Peel four large yellow onions. Remove peels and stem ends to compost. 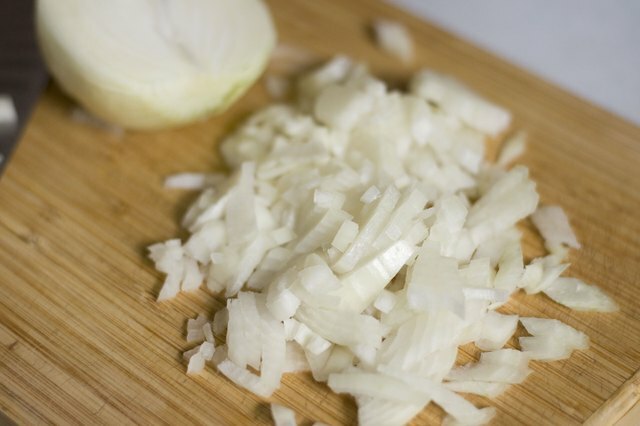 Slice and chop onions, and add to soup pot. Wash three bell peppers. Remove to compost the stem, seeds and white membrane. 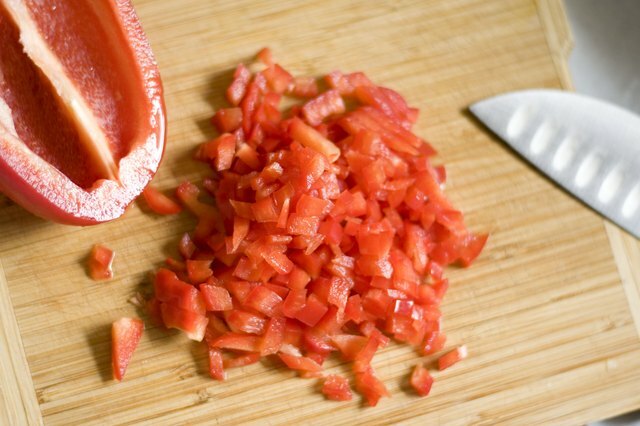 Slice and chop peppers. Add them to the soup pot. 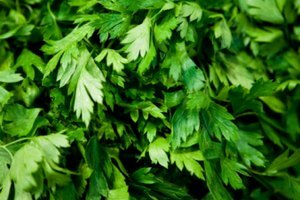 Remove the ends and leaves from a bunch of celery. 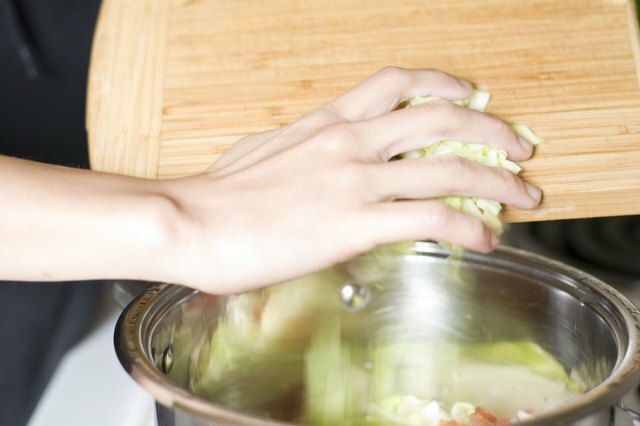 Wash and chop the celery, and dump it in with the other ingredients. Wash one bunch of cilantro. Chop the cilantro well, including leaves and stems, and add to soup pot mixture. 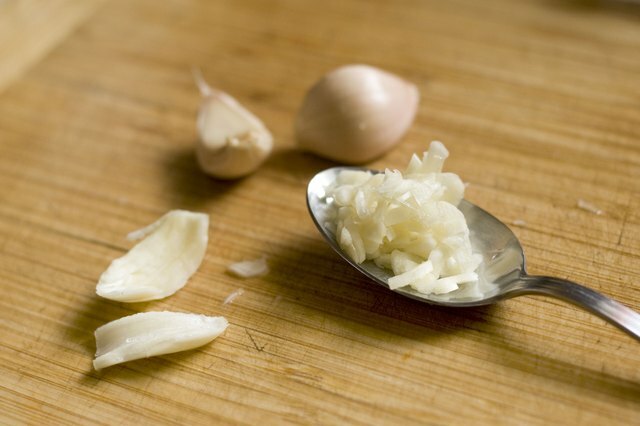 Mix three peeled and chopped garlic cloves with ¼ cup of salt and a tablespoon of chopped oregano in a small bowl. Add the mixture to the salsa mix. Pour two cups of vinegar into the mix. Heat the soup pot mixture over medium heat until ingredients are hot but not boiling. Remove pot from heat. 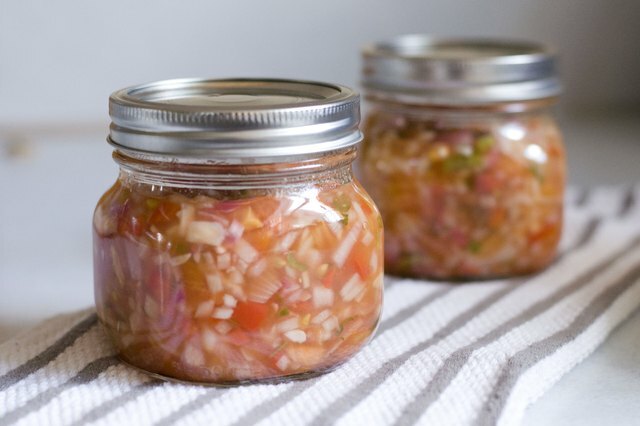 Fill sterile jars to the jar shoulders with salsa. Seal. Place sealed jars on rack in canner. Fill the canner with warm water until jar tops are about two inches underwater. Put lid on canner and bring to a boil. 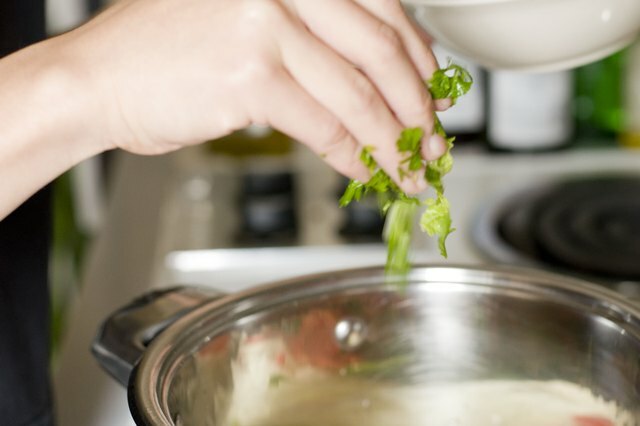 Set kitchen timer to 50 minutes when water is at a rolling boil. Keep a rolling boil going for about 50 minutes per batch. Use a jar lifter to remove the canned salsa. 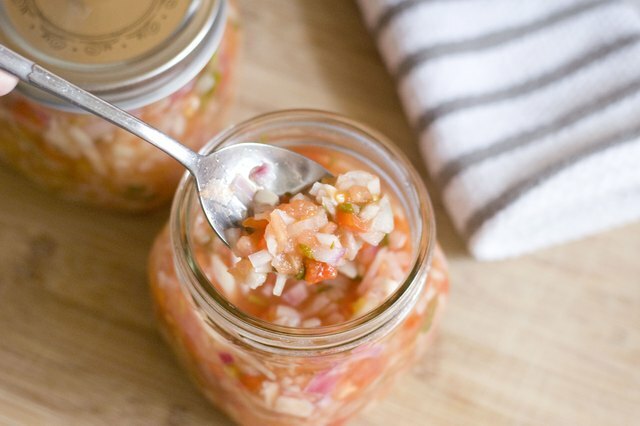 Place hot jars on a towel on a table or counter away from drafts. Wait 24 hours to test seals. Jars are sealed when you press the lid with your fingertip and it does not spring back. 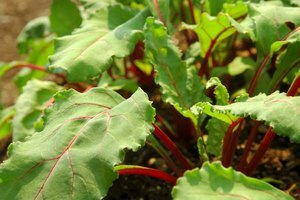 Always use high-quality vegetables that are mature but not overripe. Discard soft or damaged parts before canning. Inspect jars before canning. Don't use jars with chips or cracks. Start your canning ventures early in the mornings to avoid facing the hottest of the work in the heat of the day. Don't scrimp on the acid content. 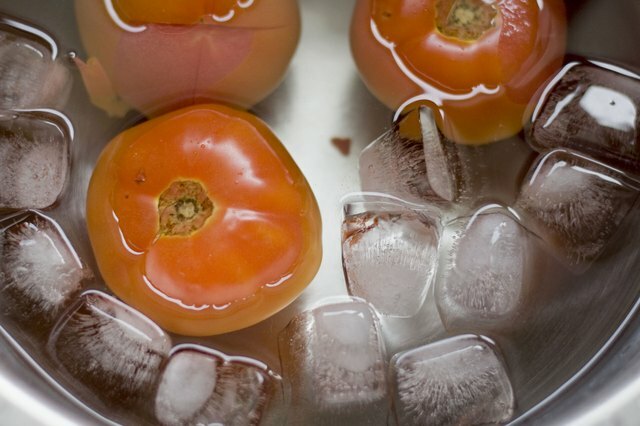 Acidity is the characteristic that makes salsa safe to process in a water bath. 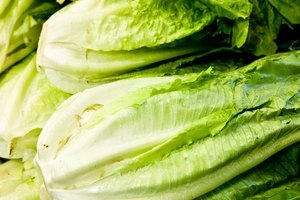 Never substitute lower-acid vegetables or liquids for the higher-acid recipe elements. Spices may be substituted, adjusted and eliminated according to taste. To avoid unsealed salsa, always use new canning lids. Rings should be without dents and rust-free. Never start and stop the canning process. Always plan enough time to complete the job.